Nebraska schools would be required to display the national motto in each school building under a bill considered by the Education Committee Jan. 22. 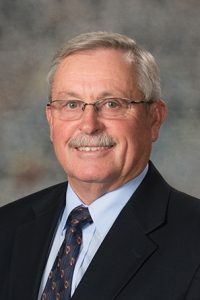 Introduced by Bayard Sen. Steve Erdman, LB73 would require school boards to display the phrase “In God We Trust” in English in each classroom or other prominent place so that every student could see and read it each school day. The bill would authorize schools to accept contributions to pay for the displays. It also would require the state attorney general to intervene on behalf of a school or other defendant if the bill’s provisions are challenged in court. 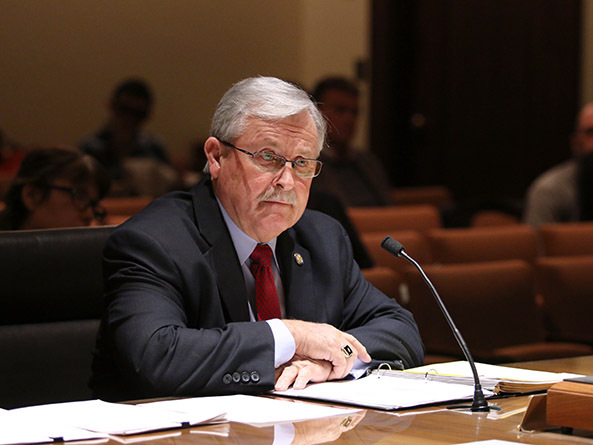 Erdman brought an amendment to the hearing that would eliminate that requirement and instead would authorize school districts to request that the attorney general represent them in any lawsuit challenging the constitutionality of the displays. Erdman said that 87 of the state’s 93 county courthouses display or plan to display the phrase, which was adopted as the national motto by a joint resolution of Congress in 1956 and reaffirmed most recently in 2011. LB73 would extend that display to public school buildings, he said, and is not intended to launch a debate about religion or the separation of church and state. Zachary Wahab Cheek, a University of Nebraska-Lincoln student, testified in support of the bill, saying that requiring schools to display the phrase would not violate the separation of church and state because Congress adopted it as the national motto. Testifying in opposition to the bill was Gwendolen Hines of the Unitarian Church of Lincoln. She said the state should not indoctrinate students with belief in any particular god. Marrianne Williams of Lincoln also testified in opposition, saying that the bill is part of a larger effort to instill Christianity in the state’s public schools. She said the U.S. Supreme Court has not ruled on the motto’s religious significance, meaning that its display in public buildings is not immune to future court challenges. “‘In God We Trust’ is not a positive message for our schools, as it’s divisive and excludes all those that believe in no God at all,” Williams said. Colby Coash, speaking on behalf of the Nebraska Association of School Boards, also testified in opposition to the bill. He said it does not provide school boards with practical details such as the number, size or location of the required displays. Some schools may not be able to raise the needed funds through contributions, Coash added, resulting in an unfunded mandate on public schools.